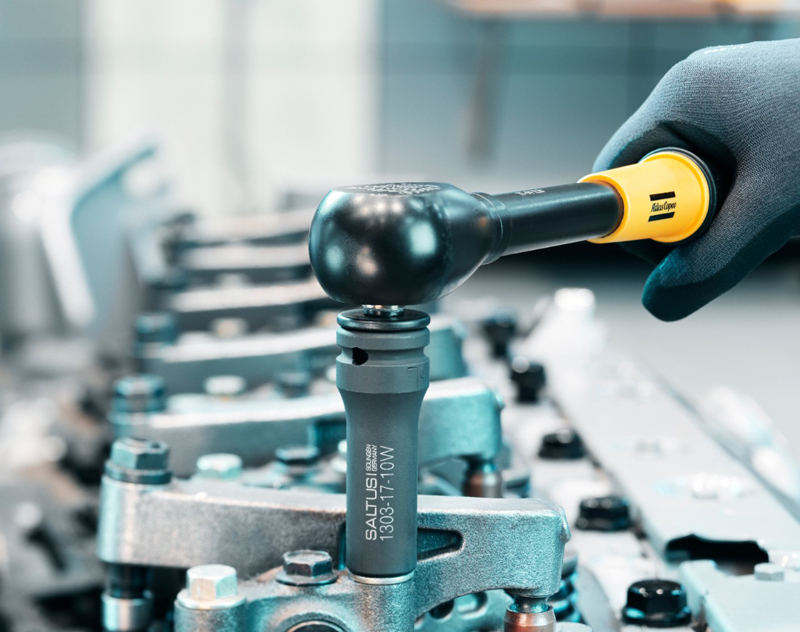 The torque wrenches in the SWR series are “automatically triggered” once the pre-set torque value is reached. The Camover-technology completely avoids over-tightening. After triggering, the SWR wrench is again ready to use. The integrated ratchet function ensures you controlled clockwise tightening. The high repeating accuracy with a tolerance of ± 4 % makes the SWR wrenches ideal for assembly lines for extreme continuous operation. For an adjustment of the pre-set value an optional setting key is available. Torque range from 5 Nm up to 110 Nm. High process reliability as camover mechanism avoids over-tightening. Overloading of the wrench itself is impossible. Repeatability of ± 4 %. Easy and safe adjusting . 3/8” (SWR-30 / SWR-60) respectively 1/2” (SWR-110) ratchet drive allows use of standard sockets.